DDEP00-01 “The Red War”, taking place at GameStart Asia 2018, is Singapore’s third sanctioned Epic, and it looks set to be the most thrilling one yet! Set in a Mulmaster still recovering from the crippling attacks of Elemental Cultists and the disaster that was Mulmaster Undone, this adventure will have players across multiple tables and tiers of play working together to stave off a war in the city sparked by the reckless indiscretions of the factions. Never make a wizard angry, especially one that can cast Meteor Swarm multiple times. But we all know “War Is Hell” and marching off to an Epic unprepared is a surefire way to get you and everyone else at your table killed. That’s why we’ve put together this list of tips and tricks to help you maximize your chances. You don’t want to be this guy. When the Five Factions issued their call, they found no lack of stalwarts willing to journey to Mulmaster to discharge their duties. Yet while the spirit is willing, an unblooded adventurer is weak. If you are Level 1, you WILL most assuredly die, whether from combat, misadventure or worse. So bring your highest leveled character. Alternatively, bring a character that’s at least the upper level band for your Tier (Level 3 for Tier 1, Level 8 for Tier 2, Level 13 for Tier 3, Level 18 for Tier 4). That way, you’ll have more class features and tools to work with, and that will definitely improve your odds! Which of course, brings us to Tip #2. 2. Level up! Level up! Level up! Training montages are a thing. The community will be running games between now and GameStart 2018 to help you prepare for The Red War, so join us on [Discord] and sign up for games on [Warhorn] to give yourself that much needed level boost! 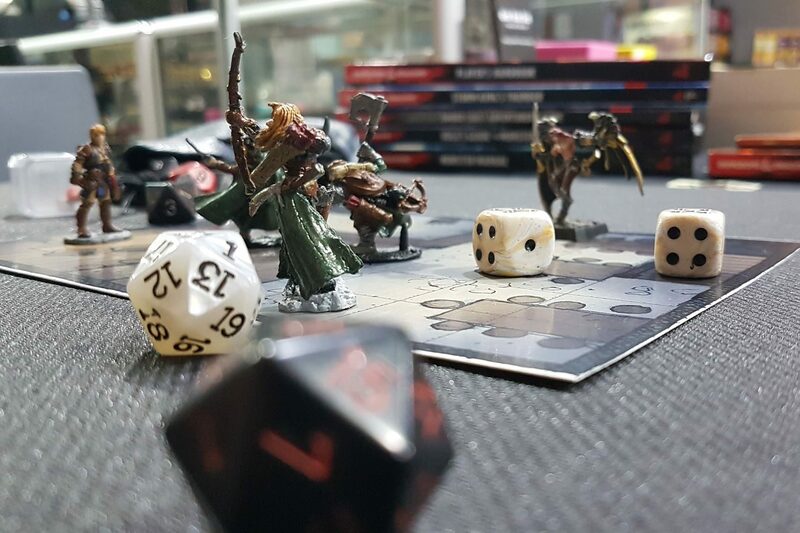 Playing more games also mean more opportunities for you to practice and learn your class, and that’s definitely handy in a pinch. Of course, we’re not just talking about your leveling up your character. Level up as a player too by re-reading the Player’s Handbook, familiarize yourself with the abilities of your character, and take a peek at some of our helpful gameplay guides such as the [Action Economy 101] lecture and our [Bard Masterclass]. Also, if you play any adventures in Season 2 (the Elemental Evil storyline), or adventures that are set in Mulmaster, don’t forget to note down the names of NPCs you meet and the Story Awards you receive. Those may be more relevant in the Epic than you think! Being armed to the teeth is a good thing. Don’t just bring your A game. Bring an armory to Mulmaster with you. Consider your Attunements and spell choices carefully, and come ready for a fight. There’s definitely going to be one, and the last thing you want is to be caught without any offensive capabilities in your repertoire. If you’re high leveled enough and have the resources to spare, grow a Clone, build a Simulacrum, or even grab yourself a handy magic item in your spare time. Hell, if you have a Ring of Spell Storing lying around, how about getting a spell or two cast into it so you’ll always have some defensive magic as a back-up? Do inform your DM if you make any such preparations, and have adventuring logs ready if your DM requests an audit! Quick! Go spend those TP now! Be sure to pick up beneficial potions and spell scrolls to cover your deficiencies. Healing, protective and movement magic are especially great for emergencies, and we guarantee you’ll need them. 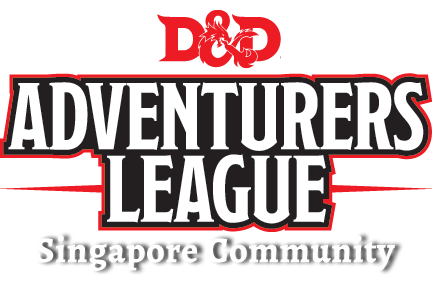 You can find a list of what’s for sale in the [D&D Adventurers League Player & DM Pack]. Just open up it up and check Page 3 of the Adventurers League Player’s Guide! Sometimes, the dice just refuse to roll in your favor. Sometimes, your friends are struggling so hard that they can’t help you, much less themselves. Whatever the reason, your character dies an ignoble death despite your best efforts. Dying is not the end for a character, least of all in a high magic setting like the Forgotten Realms. Defeat is also a powerful tool for character development. If you fall during The Red War, don’t take it as a personal attack against you. Celebrate your character’s valiant struggle, learn from your mistakes, and start planning your revenge instead. ← We’re going to GameStart 2018!